One of the keys to sticking to your nutrition plan is food prep. It can sometimes feel that you just don’t have time to do food prep. However, once you get the process down it can save you even more time during the week. In an article on the website The Lean Green Bean, author Lindsay Livingston gives 5 steps to making it easier. Check out the full article to learn more. The first step lays the foundation to a successful food prep: Make a Plan! This can be full recipes or simply a list of food components. It does not have to be every single thing you’re going to eat next week or even full meals. The goal is to just make a list of food items you could prep that will make your life easier. 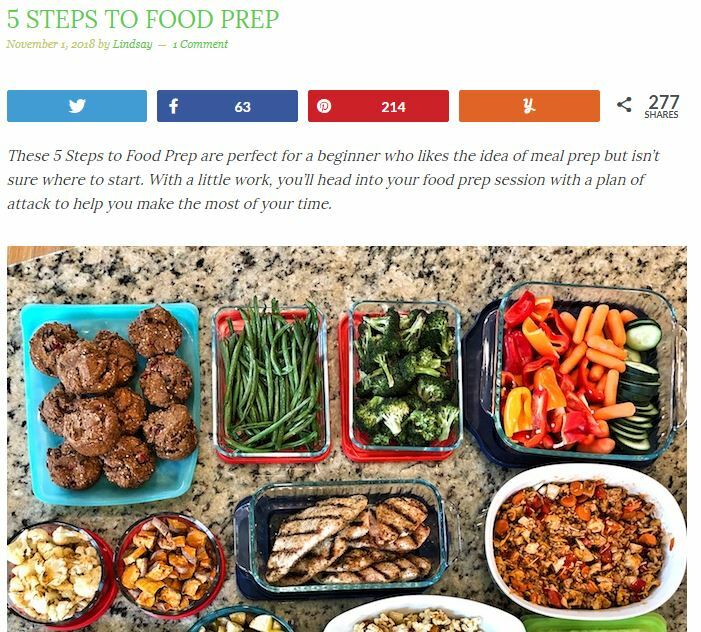 Do you food prep? Share your ideas in the comments.